Showings start now, offers Thursday June 14 at 2PM....Check out the video for a personal tour! South of Portage! 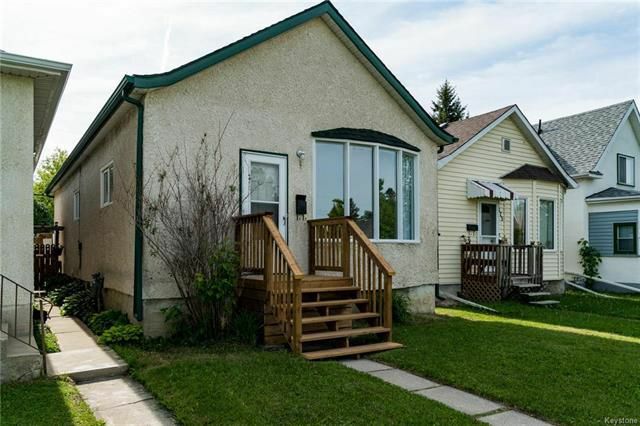 Beautifully remodelled 3 bedroom bungalow with high insulated basement. Remodelled kitchen and bath, new carpets and flooring and fresh paint through out. All doors and fixtures replaced. It shows like a new house! Spacious layout with large living/dining room combo and 3 good sized bedrooms. Modern maple kitchen with built in dishwasher and new stainless appliances included. New shingles in 2018. Updated triple pane windows. See it quickly because it will be gone! It shows AAA!